One of the loveliest pieces of jewelry in Princess Margaret's extensive collection was today's bauble: her Cartier Rose Brooch. 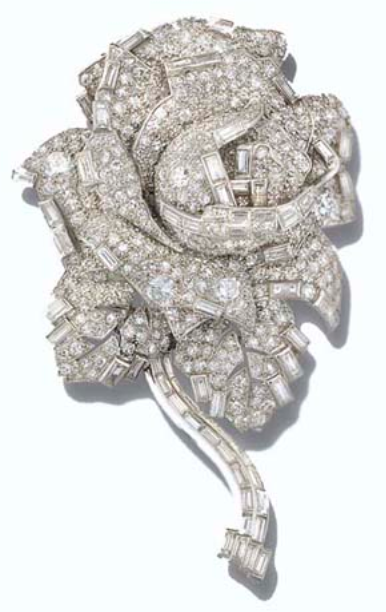 The diamond brooch was made by Cartier London in 1938. 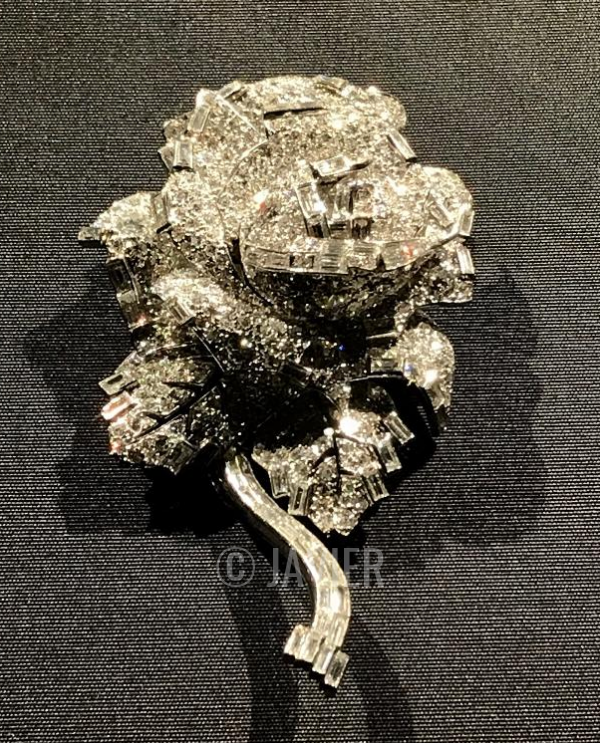 Later auction notes describe it as a "three dimensional pavé-set rose in full bloom to the openwork leaves and stem set with baguette, single and circular-cut diamonds." 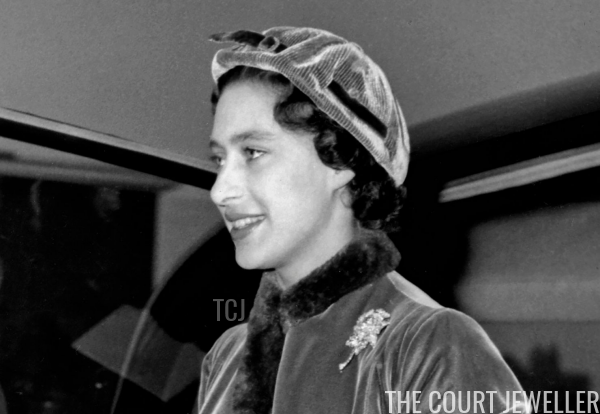 I don't believe we know precisely when the brooch arrived in Margaret's jewelry collection, but we know for sure that she owned it by 1953. 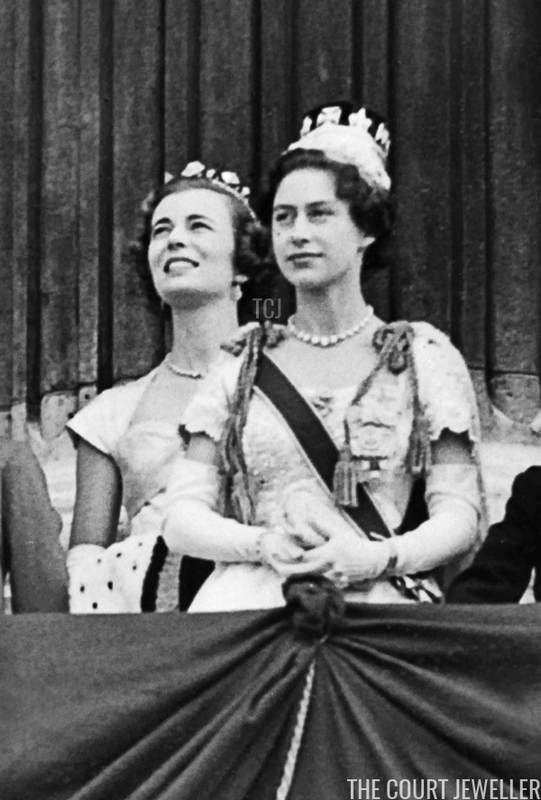 That June, she famously pinned the brooch to the bodice of her gown for her sister's coronation in Westminster Abbey. 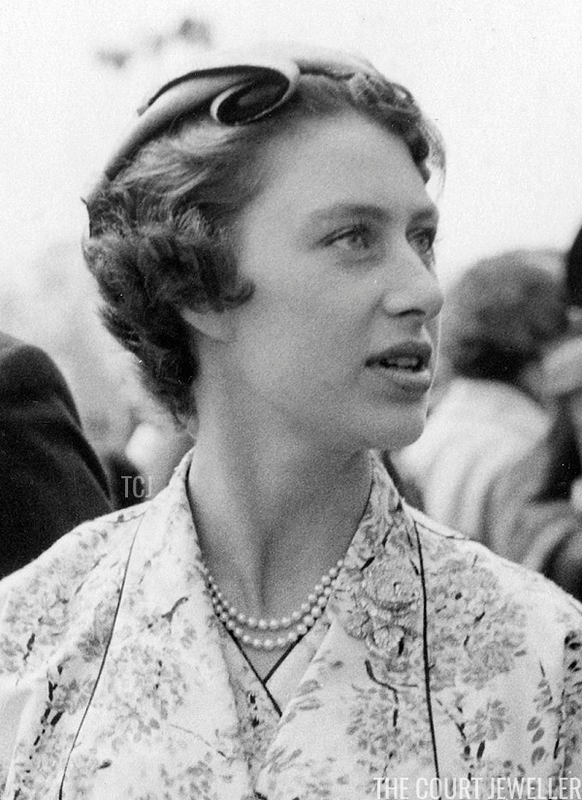 The brooch was an excellent accessory for the romantic fashions Margaret favored in the 1950s, though it occasionally got lost a bit in the floral patterns of her dresses -- as in the above photograph, taken at Epsom in May 1955. 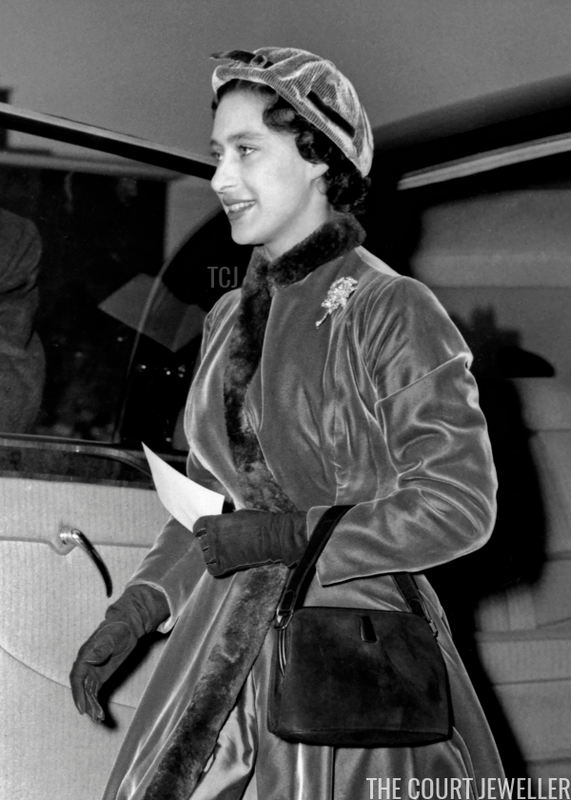 The brooch stood out a bit more against the darker, fur-trimmed jacket she wore above, in London in October 1955. The brooch stayed in Margaret's collection for the rest of her life. In 2006, her children included it in the Christie's auction of items from her estate. 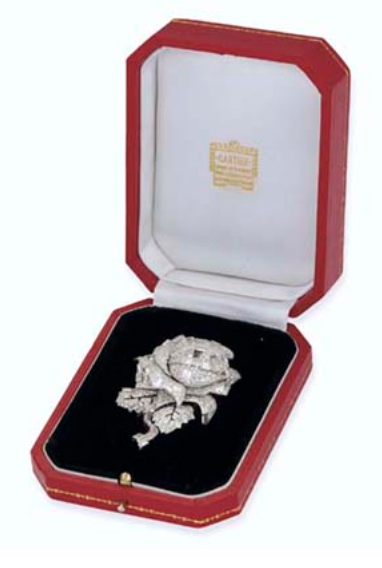 The brooch, in its original red Cartier box, was estimated to sell for between 15,000 and 20,000 pounds. When the hammer fell, the brooch had fetched a whopping 153,600 pounds.